In the latest in its ongoing series of partnering toolbooks, TPI has teamed up with UICC and BUPA to develop a guidebook and training programme to guide collaboration in the highly complex work of tackling non-communicable diseases such as diabetes, heart disease and cancer. The scale of the non-communicable disease (NCD) challenge the world faces is staggering. Tackling the NCD crisis requires a significant shift in the way we live and work. This can only be achieved through an ‘all-of-society’ approach, systematically combining the power and reach of all sectors. 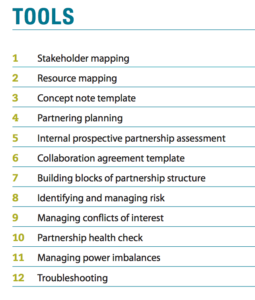 The guidebook adapts common partnering tools for the specific challenge of NCDs, where conflicts of interest and questions of power imbalance can be particularly acute. It also provides a simple ‘myth-buster’ on the private sector which may be relevant for those looking to engage business for the first time. How can public health agencies collaborate with business without being co-opted? Which industry sectors may represent potential partners beyond the ‘usual suspects’ of food, drink and pharmaceutical companies? 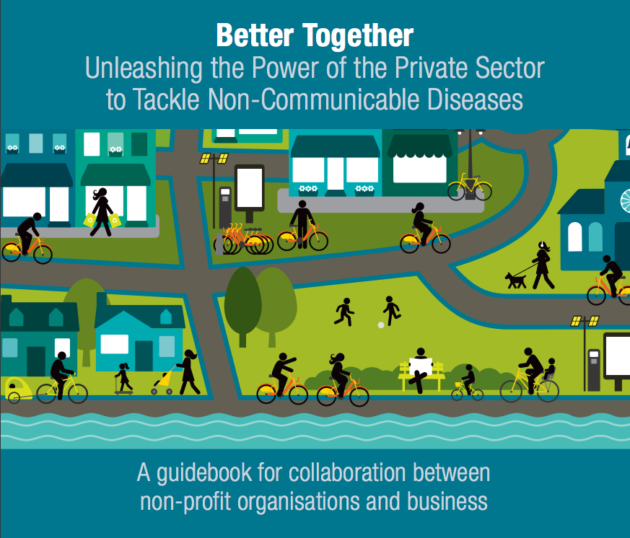 What are some examples of effective partnerships between public health and business?